Rebel leader during the Indian Mutiny, was a Mahratta Brahman in the service of Nana Sahib. He instigated the massacre of Cawnpore, and commanded at the battle of Bithur, where he was defeated by General Havelock. With the aid of the Gwalior contingent he pressed General Windham hard at Cawnpore on the 27th and 28th of November 1857, but was defeated by Sir Colin Campbell on the 6th of December. Together with the Rani of Jhansi he was besieged by Sir Hugh Rose in the Jhansi fort, but escaped and collected a force of 20,000 men which Sir Hugh defeated without relaxing the siege. 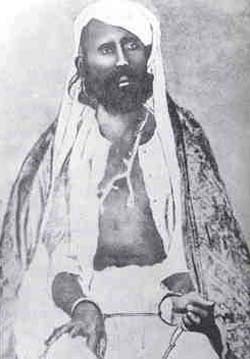 This was the decisive action of the campaign in Central India, and Tantia Topi was obliged to seek refuge in the jungles of Rajputana and Bundelkhand, where he was taken by Major Meade, condemned, and executed on the 18th of April 1859. He was the only rebel leader in the Mutiny who showed any conspicuous military talent.